There are some things in life that I never thought to make myself. You just kind of get used to the way it's always been done (pre packaged nonsense) and forget that a much tastier, home made version is an option! I never, ever liked the boxed version. And then I discovered the amazing at home version, thanks to Martha Stewart. Ridiculously easy, and with more flavor than I ever dreamed. If you've never made applesauce, you have to give it a try. Apples are in season at every farm stand right now, and it is so easy to make the most yummy, sweet, natural, comfort food! Peel, core, and slice apples. Place in large saucepan and cover with water, sugar, and cinnamon. Place lid on saucepan and cook on medium heat for 15-20 minutes, or until apples are soft. Allow to cool slightly, and then mash. I usually like to add a dash extra of cinnamon here because often it bubbles over a bit in the pot while it's cooking. Serve warm or cold, you won't believe how yummy it is! This is a easy one too! I make mine in a crockpot and add brown sugar, cinnamon, pumpki pie spice and cinnamon. Makes the home smell amazing! Oh that looks yummy! Have to give it a try. I'm just catching up and wanted to say I am so sorry about your FIL. Your family is in my prayers. That looks soooo good! 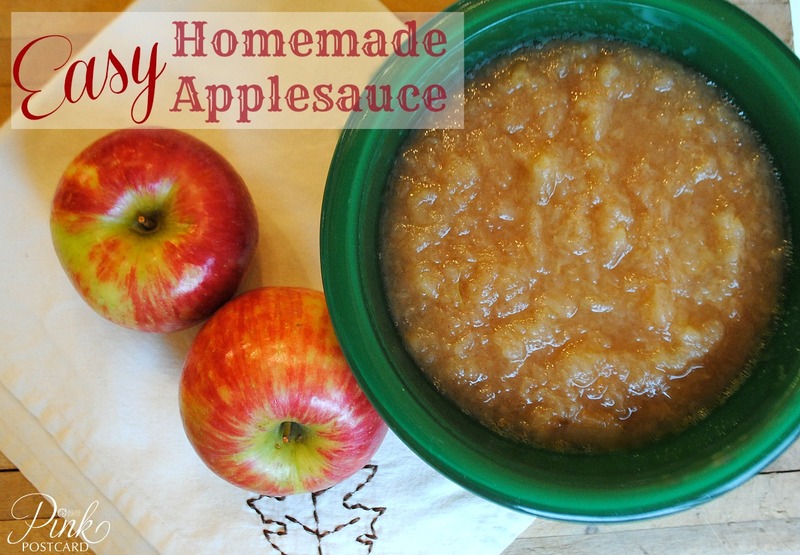 My kids won't touch store bought applesauce, but I've never made it, but I think they'll love this! I make homemade applesauce too. My recipe is for the microwave and the blender. I love it and so does my husband. Yum. I'm getting my pork chops ready for this delicious recipe.